Since 1525, Amaretto has been enhancing desserts with its smooth almond taste. 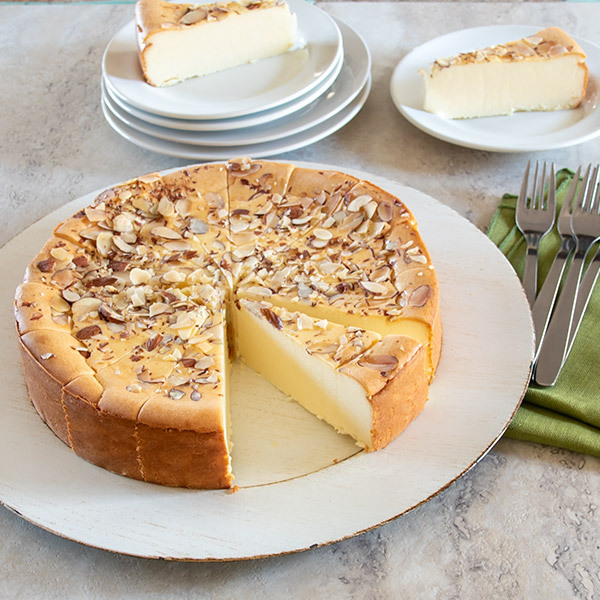 This creamy, rich cheesecake is infused with the luscious taste Amaretto is known for and is topped with fresh almond pieces, creating a delicious dessert beloved by all. It was a little pricey , but you get what you pay for. Creamy, thick, smooth and delicious. Got this for an office party. We need a very low gluten dessert. This was AMAZING!!!! Will be ordering another for family Christmas gathering. The amaretto cheesecake was absolutely delicious. Everyone raved about it. 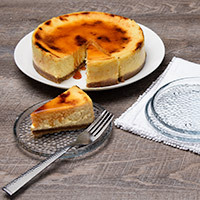 I had had an amaretto cheesecake years ago in an Italian restaurant in Chicago and never forgot it or found it again. Now I am so happy my family can enjoy this heavenly dessert. I had amaretto cheese cake 30 years ago. It was so good that I have thought about it often for the past 30 years. I have tried to find it locally many times with no luck. 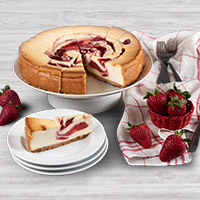 When I found this cheesecake online, I was hesitant because of the price. I ordered it. Best cheesecake ever. Perfect. I would recommend this. When I was a child, I was the inventor of flavored cheesecakes. One of the flavors I invented was Amaretto Cheesecake. You make it very well. I believe who stole the idea was Dorothy Ginsberg. She likely gave it to someone else. You should be paying me. One of the best cheesecakes I've ever had! Great flavor. 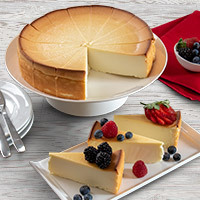 I ordered it for my sister in law's birthday, she used to say carrot cake was her favorite, she has sent me a note saying that made her birthday sweeter and that is her new favorite cake, amaretto cheese cake. I bought this couple days ago and couldn't wait to open it! I couldn't believe how delicious It was, I love amaretto I have to order it again! Very smooth almond flavor, I love it.